1. Very basic drill but is effective if focus is kept on keeping their heads up, controlling the puck, making tight turns and moving at a fast pace. 2. 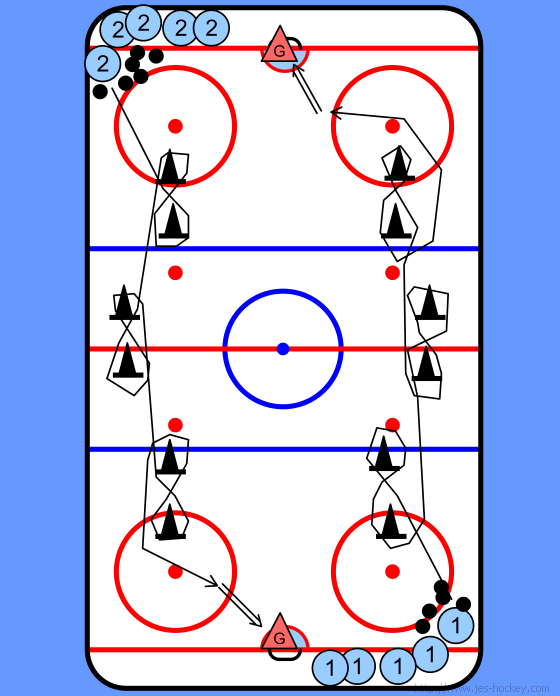 Coaches can add pressure to the players after they complete the final figure 8 as they are going to the net.